New in! 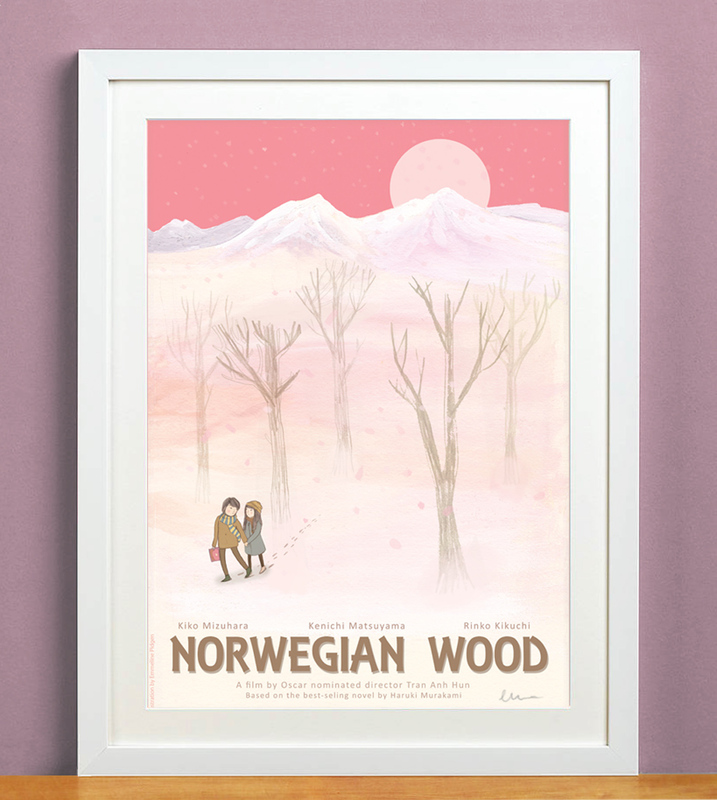 These Norwegian Wood posters have just arrived in my online shop here. I illustrated this for the release of the film adaptation of Murakami's Norwegian Wood, and ended up as a finalist in the poster competition. Had a great little exhibition at the Curzon cinema (and I danced next to Tony Leung at the premiere party, what?!). This illustration has had a surge of re-popularity after being featured on the Murakami facebook page recently. Pretty chuffed, I love Murakami's work (although The Wind Up Bird Chronicle is my favourite so far! ).